After many waves of democratisation a new type of constitutional transformation has become the focus of scholarly attention. Some researchers claim that the current erosion of constitutionalism can be understood better if the phenomenon is compared to the twentieth century dictatorships. Many others argue that what is happening today is a self-destruction of liberal democracy through democratic procedures and under the formal rule of law. This article aims to contribute to the understanding of the new system, and offers another approach. It shows that in a normative sense democracy today is the only legitimate constitutional system. That is why a key attribute of contemporary authoritarianism, a sui generis system between constitutional democracy and dictatorship, is a pretence of democracy. 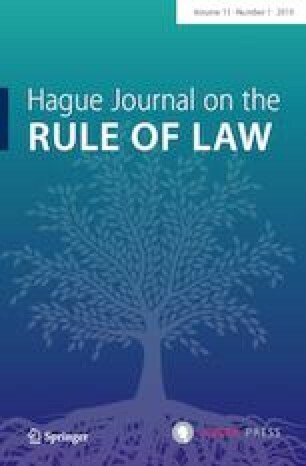 The article suggests that mechanisms of pretence can be identified with the help of constitutional markers, which allow a reliable distinction between constitutional democracy and authoritarianism. Constitutional markers can be revealed on two levels: first, by a systematic account of the constitutional text and practice and second, by exploring the deep structure of the false justification of the system. Versions of this paper were presented at the workshops “Beyond the Liberal Constitution”, Wolfson College, University of Oxford; “Constitutionalism, Dissent, and Resistance”, Humboldt University and Princeton University, Berlin; “Resurgence of Executive Primary in the Age of Populism”, Academia Sinica, Taipei; and at the GlobCon Colloquium of the WZB Berlin Social Science Center. I wish to thank Teodor Papuc for his research, and János Kis, Kriszta Kovács and Mattias Kumm for their helpful comments.